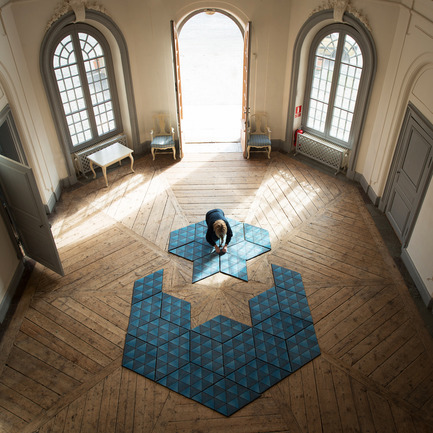 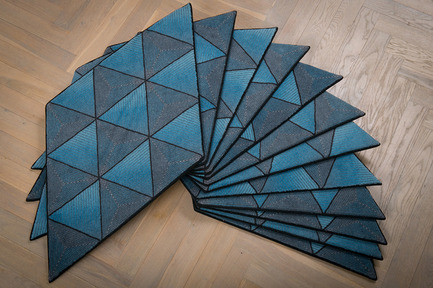 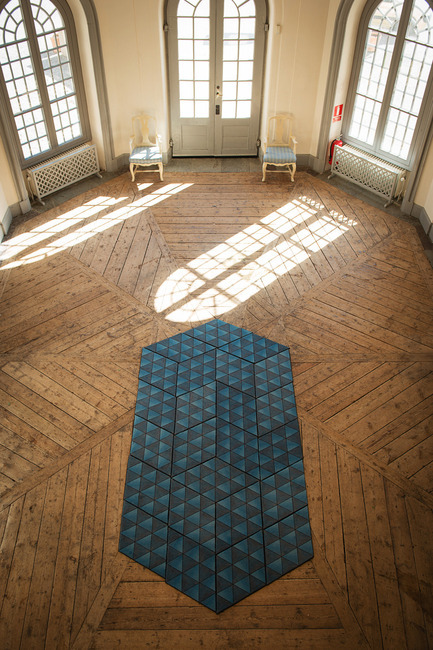 Swedish designer Ingrid Külper at Mattahari wins prestigious silver for two of her geometric jigsaw rugs. 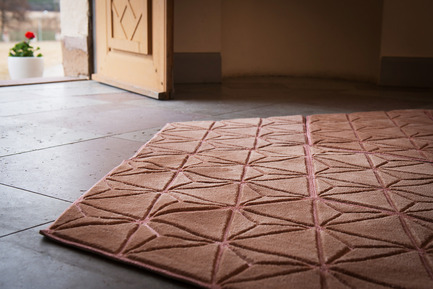 Designer Ingrid Külper at Mattahari / Ingrid Külper Design AB in Stockholm, Sweden, was awarded a double Silver medal for her design by the European Product Design Award 2017. 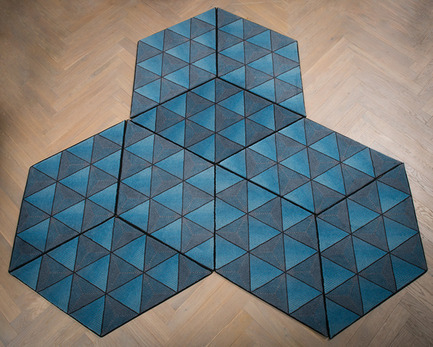 The two prize winning Jigsaw Puzzel Rugs, one pink and one blue, are put together in sections, with rhombuses and hexagons placed adjacently in order to create various decorative rug designs. 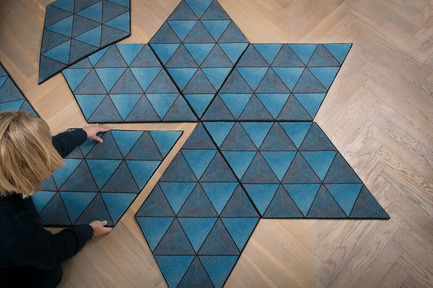 The pieces are fitted together and stay in place with the aid of an anti-slip surface underneath it. 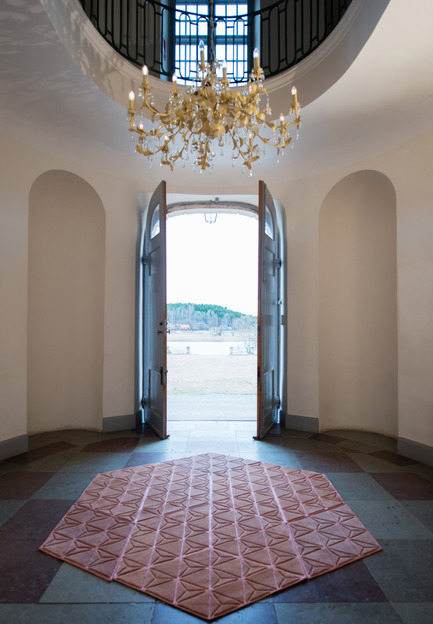 The rugs are designed to be fitted in large stately rooms where they can really catch the eye, such as palaces, grand hotels and spacious hotel lobby areas, churches and event venues. 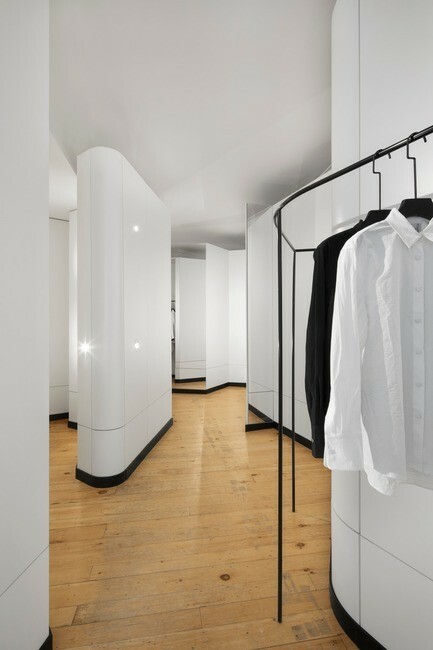 They can be fitted in conventional dwellings as well as in design oriented homes. 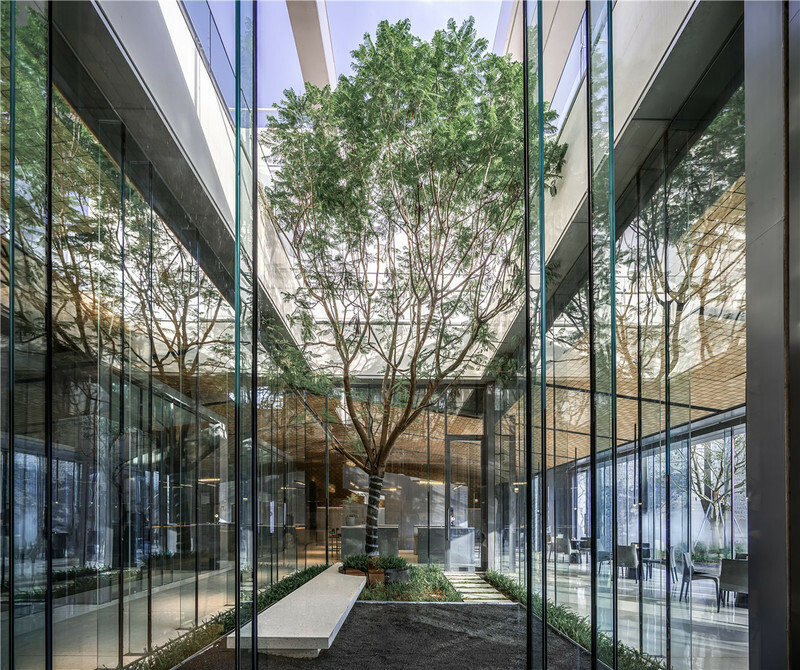 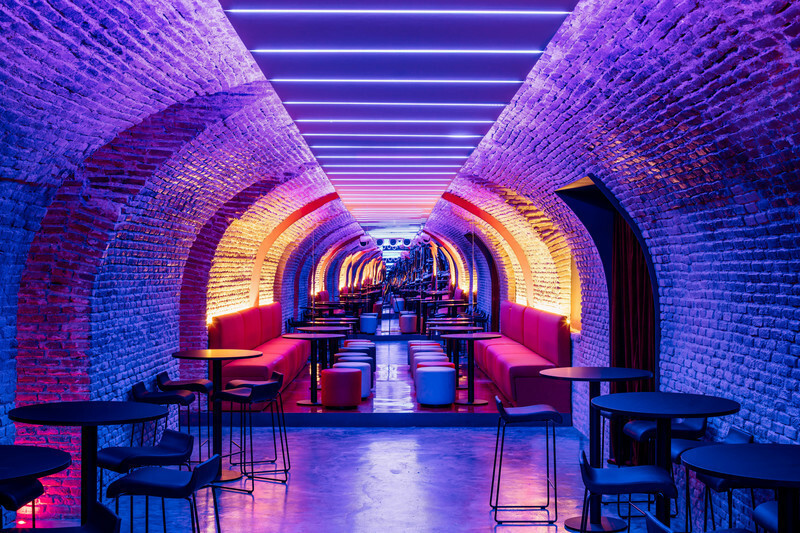 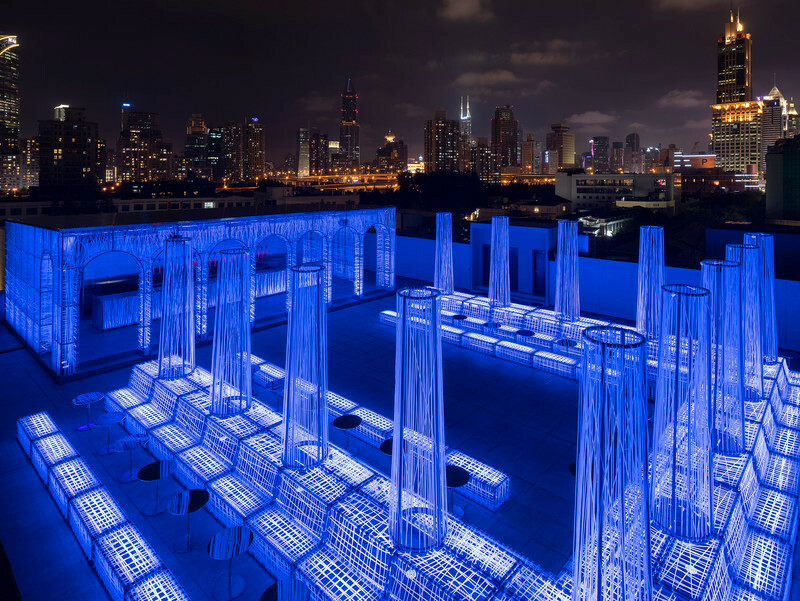 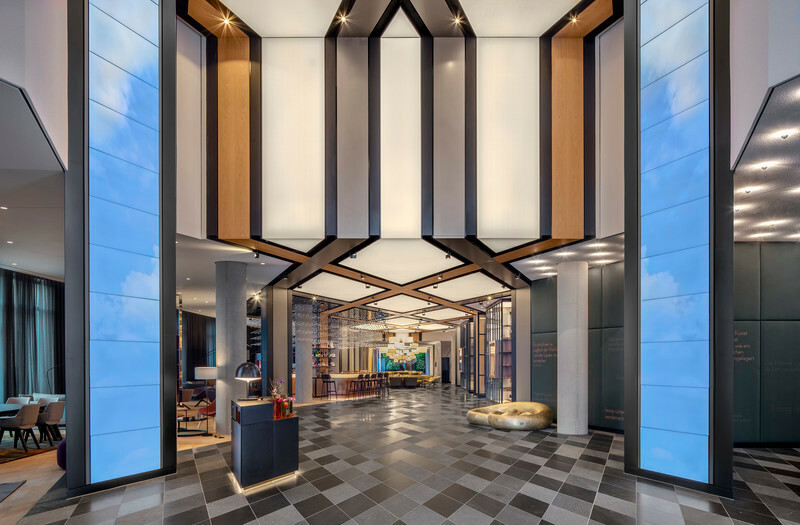 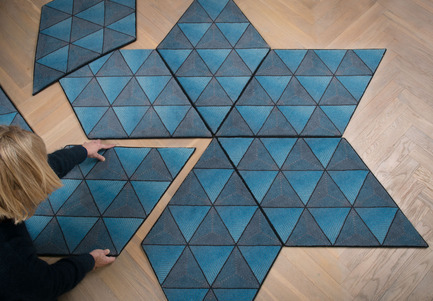 "They are genuinely dual purpose; they may be used for covering floors and they can also be hung on walls for sound reduction purposes", designer Ingrid Külper comments. 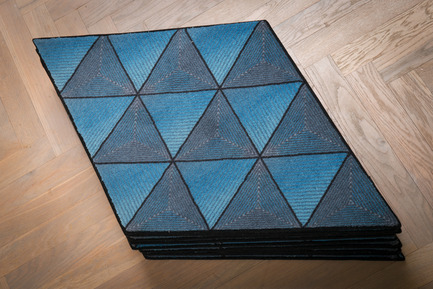 The rug components are delivered in stacks. 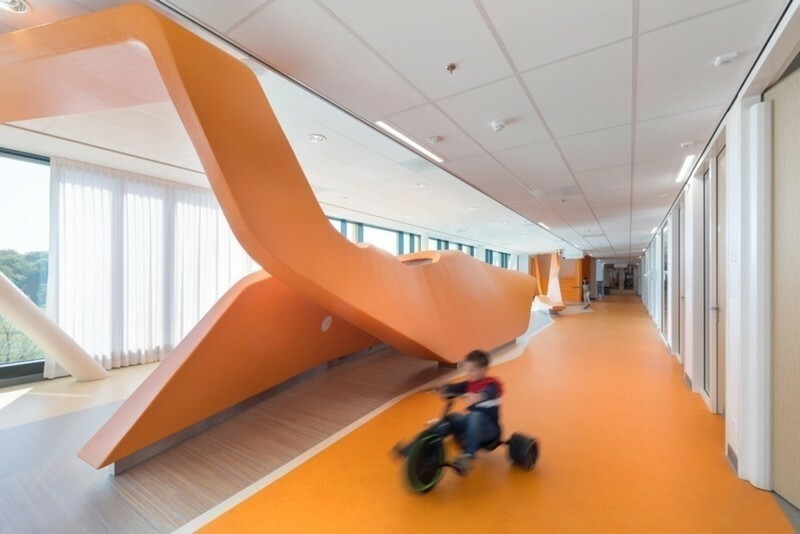 This is both practical for storage and helpful when it comes to facilitating transportation. 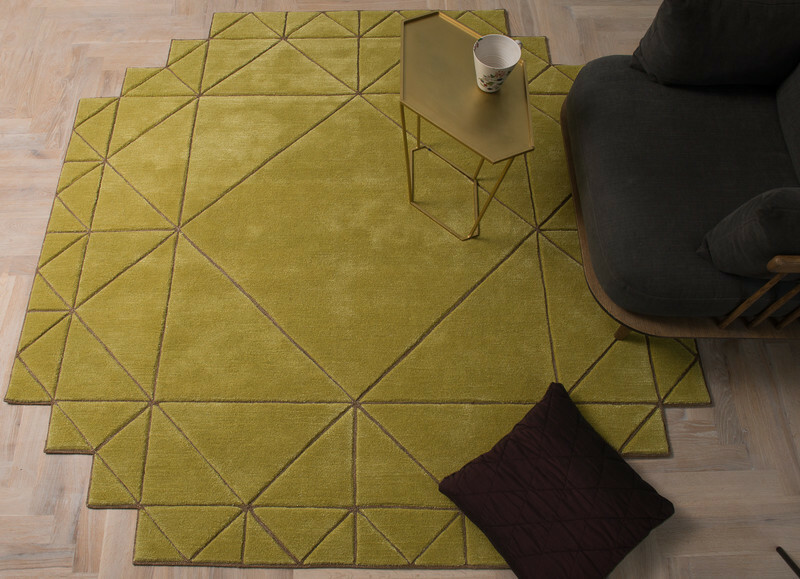 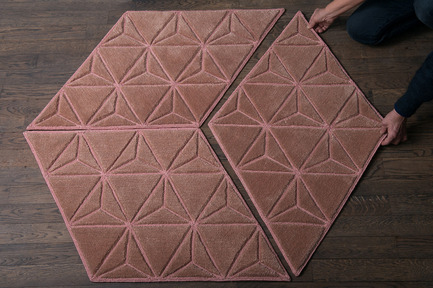 Each rhombus or hexagon is easy to change, without having to replace a whole rug if one section becomes soiled. 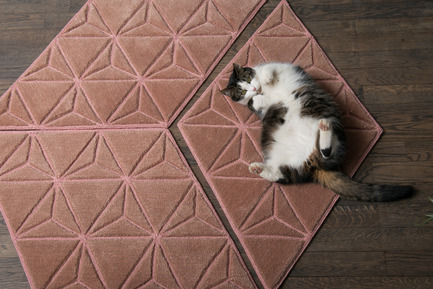 The rugs are also easy to clean. 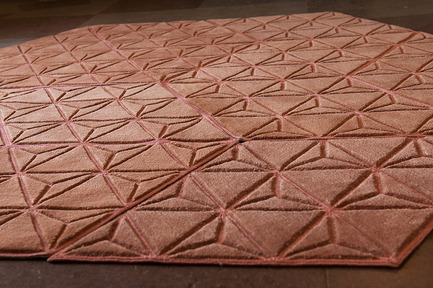 Materials (pink jigsaw rug): hand tufted, pure wool with some bamboo fibers mixed in for extra shine. 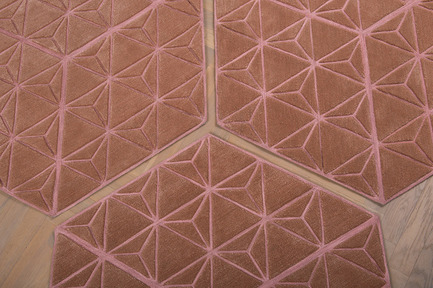 The lines are embroidered with banana fiber thread. 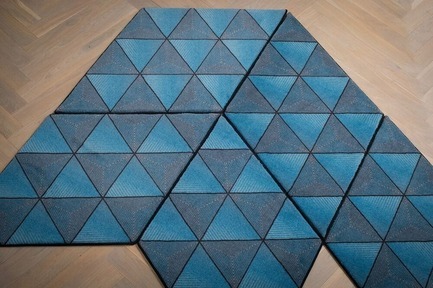 Materials (blue Jigsaw rug): blue components,printed on pure wool. 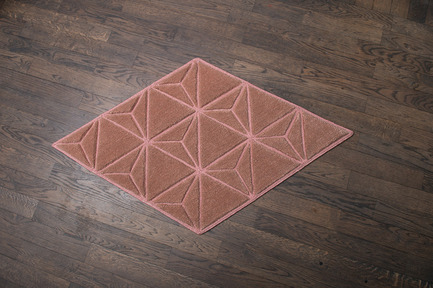 Color: may be ordered in various colors. 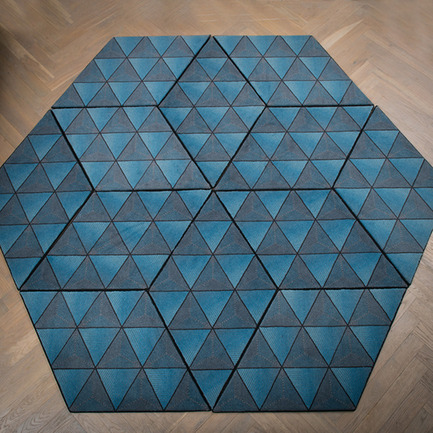 Dimensions (blue rug): all sides 55 cm, pile height 1cm. 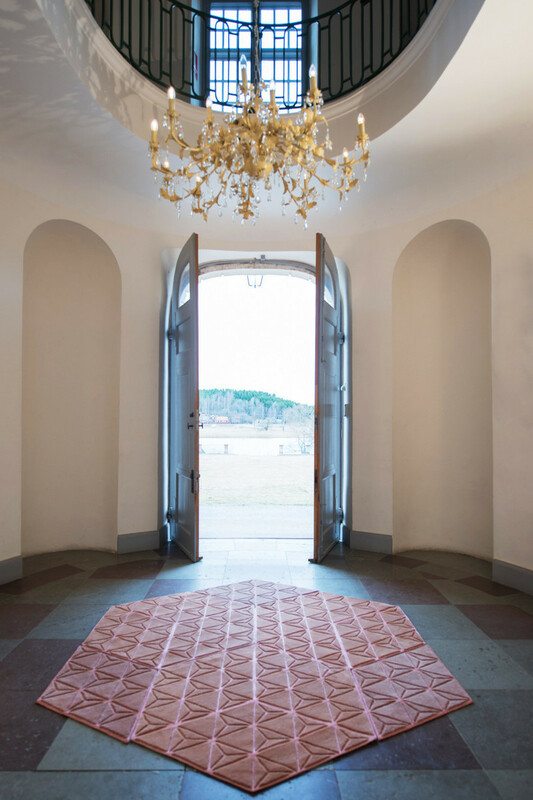 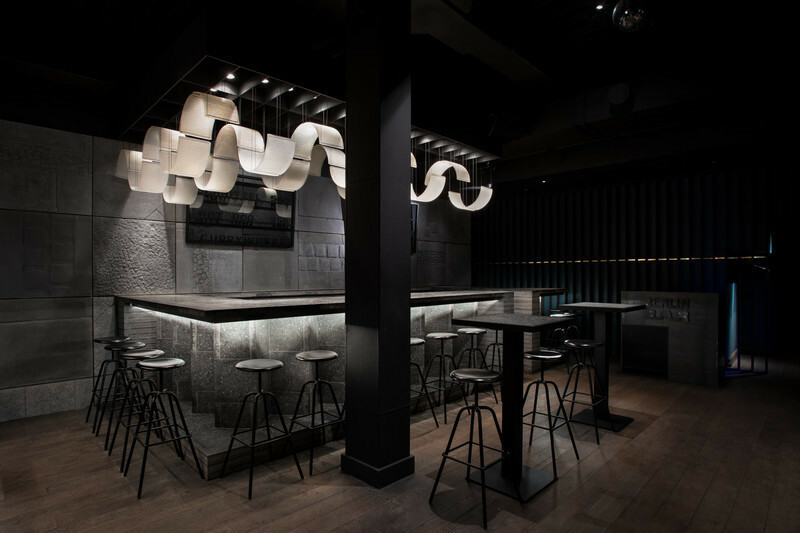 Design: Ingrid Külper, based in Färentuna, near Stockholm, Sweden.